Whether you’re a first-time home buyer or have been through the process before, it can be difficult to know when the best time to buy is. A home purchase is the one of the largest purchases that most people ever make, so it’s only natural to want to be as thoughtful and intelligent about the purchase as possible. 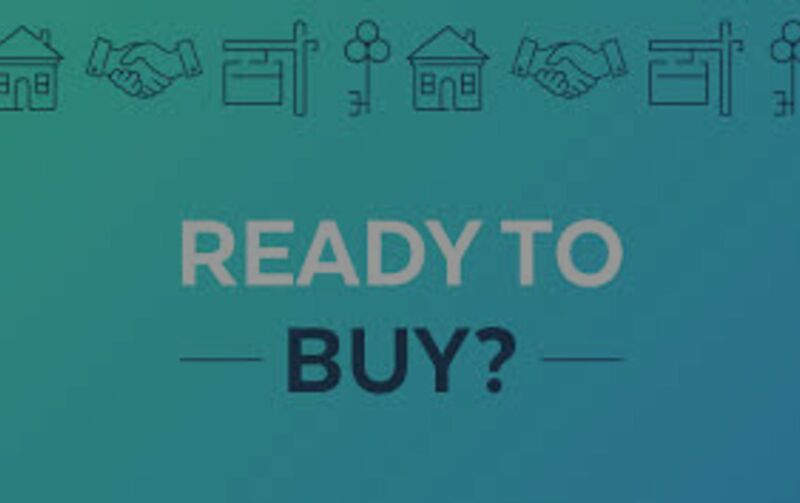 Determining the right time to buy can depend on a lot of factors, including personal reasons, timing necessities, financial considerations, and more. But if all your ducks are in a row and you’re just not sure what to look for in the market to indicate a good time to buy, there are a few key trends to keep an eye out for. Interest rates are an important part of the home buying decision for anyone who plans on financing their home with a mortgage. It is normal for interest rates to fluctuate over time, experiencing periods of stability and periods of change. These rates are determined based on nation-wide economic factors in addition to personal credit considerations like credit scores. Purchasing a home while interest rates are stable can provide peace of mind to borrowers. Currently, interest rates are holding but are rumored to be increasing 1-2 times in 2019. What this means for buyers is that now is a smart time to buy and lock down your mortgage rate before the predicted interest rate increases in the coming year. Many people think that waiting for the spring to buy will provide better options, but with rumors of increasing interest rates on the horizon, waiting to buy could end up costing you more money in the long run. A common measurement used in real estate is known as the “days on market.” This indicator is a measure of the amount of time homes are remaining actively listed on the market prior to closing. In a seller’s market, days on market tends to be low – homes are selling quickly and buyers are forced to make snap decisions about a home or risk losing it to competing offers. As the days on market increases, buyers experience less pressure in their decision making process. First, buyers are far less likely to enter a “bidding war” situation with other interested buyers and thus will avoid the added pressure to make a snap decision about a home. Buyers in Pennsylvania right now have the time to view a home several times if they’d like. Having more time to make a purchasing decision means you can feel more confident in the home you’re selecting, you can do better research on the neighborhood and school districts, and can bring critical decision influencers in to view the home with you before making your decision. The increase in the days on market happening now also can have financial benefits for buyers. More days on market means it’s taking homes longer to sell; sellers are receiving fewer offers and it is taking longer for offers to come in. Motivated sellers may be more receptive to less competitive offers than they would be in a seller’s markets, which is great news for buyers. There are a couple of different ways that buyers can take advantage of the current market trend in Pennsylvania and the greater tri-states area. First, you can submit an offer at a lower price. Whether the seller will accept the offer will depend on how long the house has been on the market and what the seller’s motivations are. Buyers can also ask for more from the seller in concessions and closing cost negotiations. It is always up to the seller to accept or reject an offer. Submitting less competitive offers on a home requires a delicate balance in negotiations as well as an intimate understanding of the local market and trends.Work with a serious real estate professional who knows the ins and outs of the neighborhood you’re looking to buy in. This way, they can guide and advise you on what is reasonable and common during the offer process so you avoid submitting offers with little chance of getting accepted. When submitting a less competitive offer, it is also important to present a quality offer. If you’re offering less money or want more concessions, it’s important that your agent present you as a serious, legitimate, and qualified buyer. This way, it’s easier for the seller to agree if it appears that you are a highly qualified buyer with few-to-no hiccups anticipated during closing. Price is a huge consideration when deciding when to buy a home. In a traditional buyer’s market, we see prices decrease as sellers become more anxious to sell. Right now, the market is in transition to becoming a buyer’s market. What this means is that the number of homes on the market is increasing and sellers now have to work harder to catch the attention of buyers. Frequently, we see this expressed through price reductions. Because this transition to a buyer’s marketing is underway now, price reductions are starting to happen. From a financial perspective, this is the perfect time to look for a home. With interest rates holding, less competitive offers being accepted, and price reductions anticipated, buyers will have increased buying power and will be able to get more house for their money. For entry-level buyers, this means there will be better options in your price range. These financial benefits paired with the decrease in pressure to put in an offer immediately and the extended timeline for making a purchasing decision are all indicator of a great market to buy in. The best way to buy a home in Pennsylvania is to work with a real estate team who understands the local market and the negotiations process. The Cyr Team is dedicated to informing and guiding buyers so they get the best home for their money. We’d love to connect and discuss how we can help you find the perfect home and make a competitive offer, from the initial consultation all the way through offering and closing. The Cyr Team delivers superior client care to those looking to buy or sell real estate. We educate and empower our clients through one of the biggest transactions of their lives by bringing a structured, process-driven methodology to build consistency and clarity in a real estate transaction. Located in SE Pennsylvania, we are licensed in PA, DE, and NJ to better serve the tri-state area.